I felt this way about my blog it’s between me and God. If others are blessed, that’s great! How many critics do I need? I’m just glad to not hear theirs. thanks for your visit to my blog. Keep writing. I wrote for my self for some years hiding my poems from other folks so I could be more honest, then one day I shared one with someone and they connected with parts of it. Now it’s much easier to share and now and then a few folks find some connecting points that get them thinking in their own directions on what they read in my poem. True, Life is a journey you take and you mark signposts and move on; your poems show your progress while those who are running helter-skelter are following theirs. Never mind them. Hmmm this I can relate to. I have shared my writing (such as it is) here to the world but I dare not share to friends..
You going to follow me and let me get things going so we can see the different perceptions people have when reading your poetry? So, does cruel and apt mean true and appropriate, being relevant to the circumstances? Just honest. Or no? Jealous and don’t understand if they don’t have a brain that can comprehend and understand the art. Short and Sweet… a good shot at the “friends”! Haha, I love the last line! Best thing I’ve read today. Haha this made me laugh. It’s more that I cringe that I read them, and they felt awkward. Whether they liked it or didn’t like it, it’s weird. Perfectly written! We write for ourselves, even when we write to or about others. Happy New Year, Frank and thank you for supporting my poetry site. Thank you for the laughter you have just given me. Happy New Year! for your odds to be their end. anytime the mention is of import. But it’s 100% likely that they share them with all who know ’em! 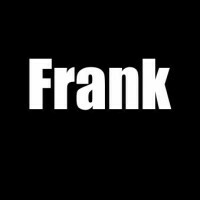 Hi Frank. Your 4 valuable lines cant be a boundry. you have hit a sixer by saying so many things in these 4 lines. I love this! So true, Frank. Your poems are your creation no mater somebody else like them or not.I love them and thank you for sharing them! Keep writing! Frank whenever u feel that your friends are not listening to your poetry just post it here.Its always worth a million views. write for you! 🙂 and I like reading them. When time permits and I don’t have problems with the internet I really like and appreciate your poetry. Haha! That’s a great poem! And I like your poetry! Very apt. I only write poetry for myself to fill the gap in between talking to my friends. One person told me my poetry was random. I took that as a negative. Your perspective is so much better. Thanks for that! Laughing, maybe you need new friends. They have no taste! We like them and that is all that matters. Good point! I journal, but a lot of that is ideas or sarting lines for my blogs & poetry. I write my poems and them i have to tell all my friends. But i do not know why i do it. I havr a need to express myself. Maybe because i dud not say much ehen i was growing up being a shy kid. Not anymore.